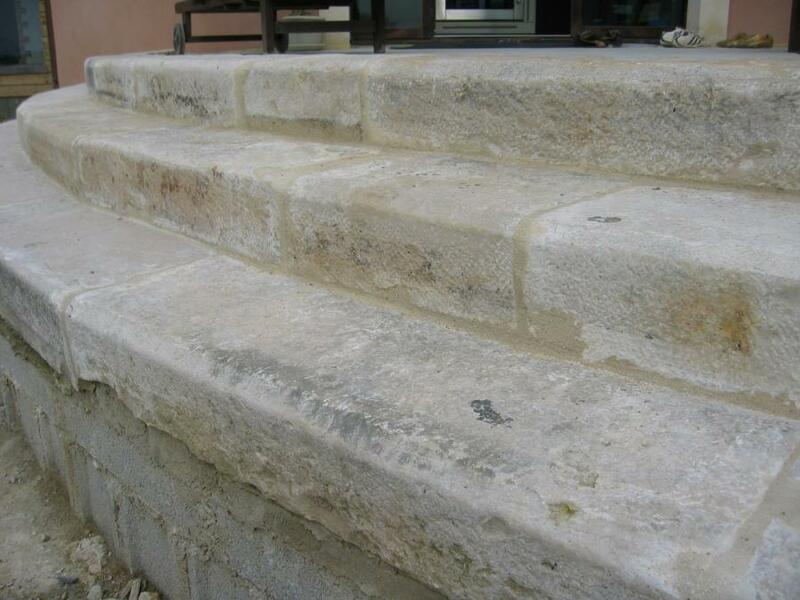 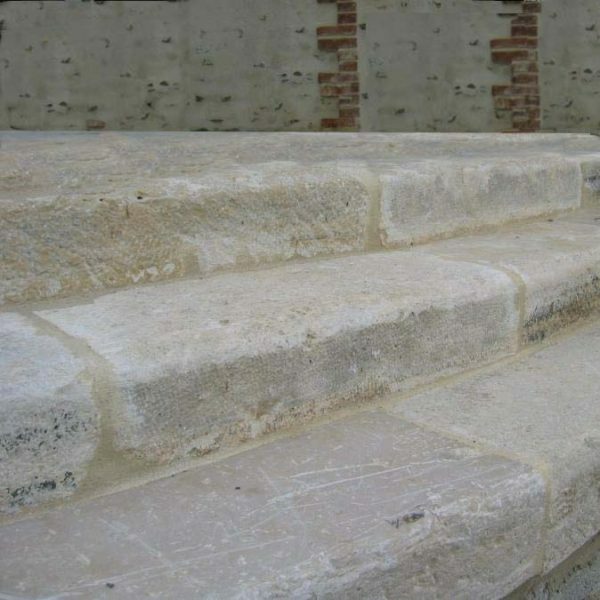 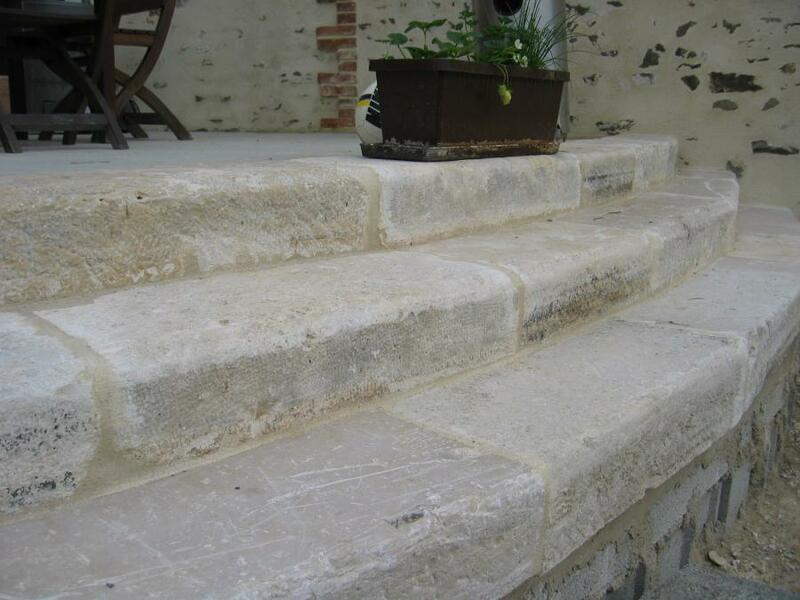 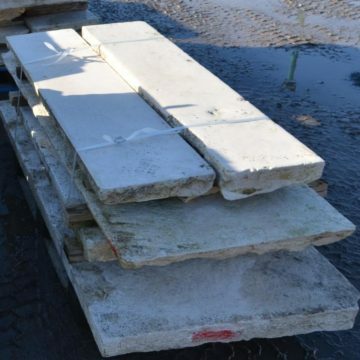 Antique limestone steps : Antique reclaimed hard limestone steps, borders or curbs, kerb stones. 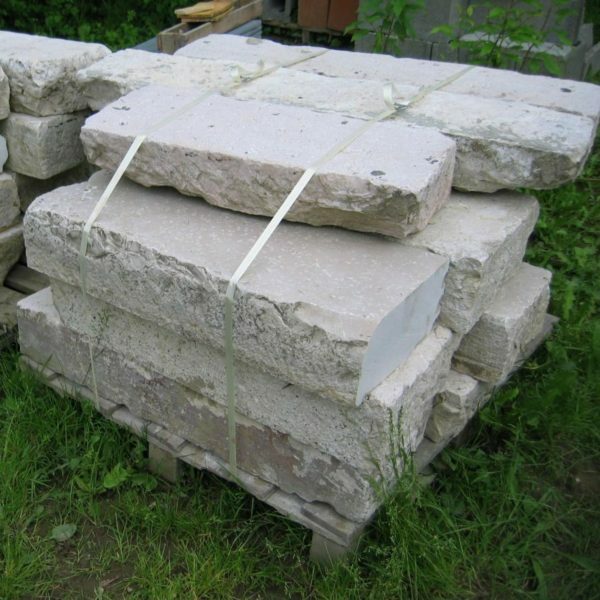 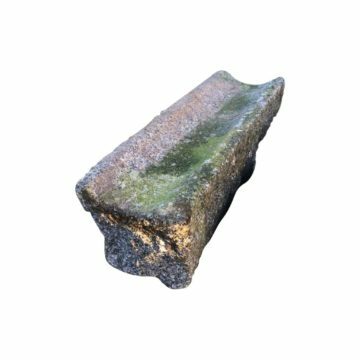 Possible to have them cut to a regular height of less than 16cm (6.5 inches), or cut to a regular front-to-back. 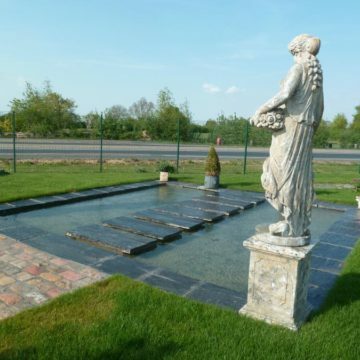 Metric dimensions approx: mixed lengths 80cm to 130 cm x front-to-back +/- 33cm x height 16cm. 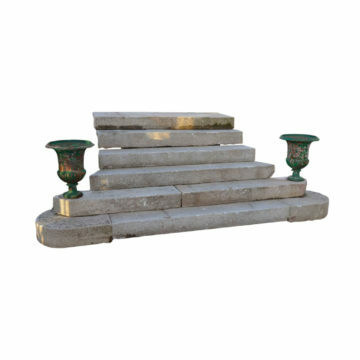 Imperial dimensions approx: mixed lengths 31 inches to 51 inches long x 13 inches tread width x 6.5 inches rise. 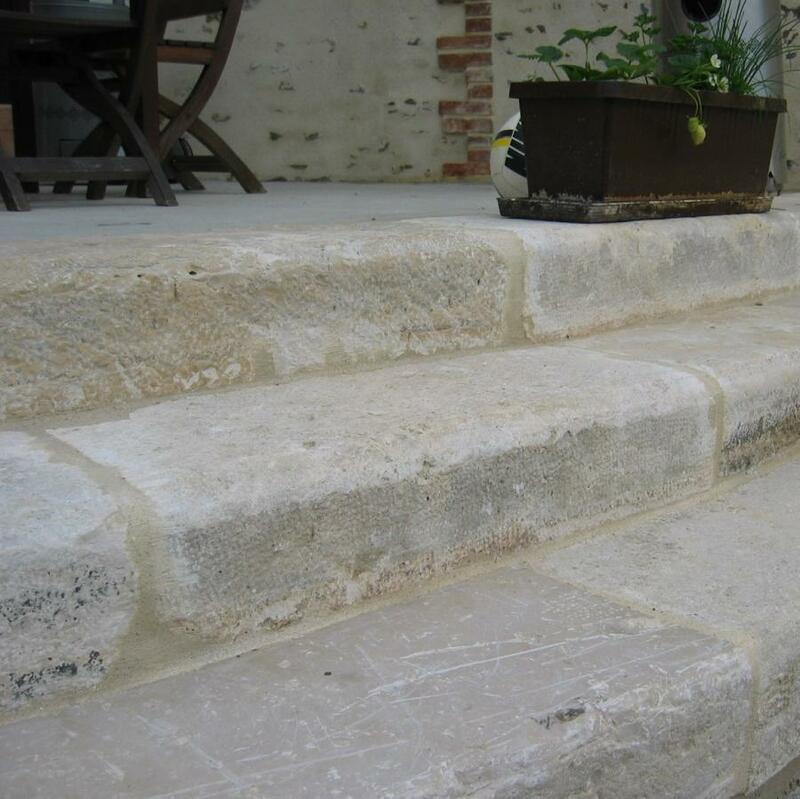 These antique steps are in the same reclaimed limestone as the BCA flagstones refs 00096, 10096 and antique stair treads with bullnose ref 00732.